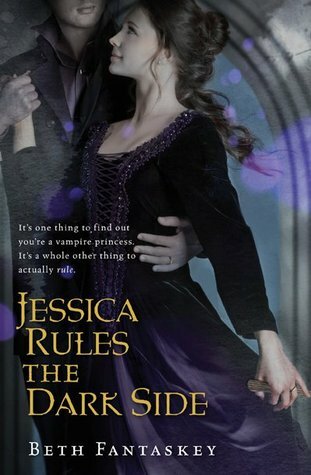 The highly anticipated sequel to Jessica’s Guide to Dating on the Dark Side. I really enjoy Beth Fantaskey's writing style. Although she is writing about vampires, assassins, and castles in Romania- through her characters she lets us know that she isn't taking all the paranormal too seriously. I love Mindy's character. She is almost like a breath of fresh air in all of the paranormal creepiness. She almost talks to the reader and says to them "What is going on with all this craziness?" I loved that I got to know Mindy and her "beau" better in this book. Hopefully this isn't too much of a spoiler (but it is in the summary, so I guess I am good...) Lucius (Which I accidentally spelled luscious.... but that fits, doesn't it? )and Jessica don't spend many pages together in this book. I understood because of the plot, but missed them interacting together. The way Lucius and Jessica bantered and loved each other was my favorite part of the first book. This book centered around Jessica and Mindy. Jessica really want through a transformation in this book- and grew up. If you were a fan of the first book, you will be a fan of book two- it really was a great book! I will warn you, it did start a little slow, but give it time and you will enjoy what the author has created. I would also suggest that you read Lucius and Jessica's wedding scene which can be found here. It isn't imperative, but it will help you understand more at the beginning of the story. Thank you to Around the World Book Tours for allowing me to read this book! This book seems kind of weird, but kind of interesting. Never heard of it. It sounds like this is a paranormal with some of the dark...though not too creepy, eerie dark. Sounds like an interesting read. Thanks for sharing.